Watch a Salesforce CPQ demo now. Quote quickly. Eliminate errors. Grow faster. 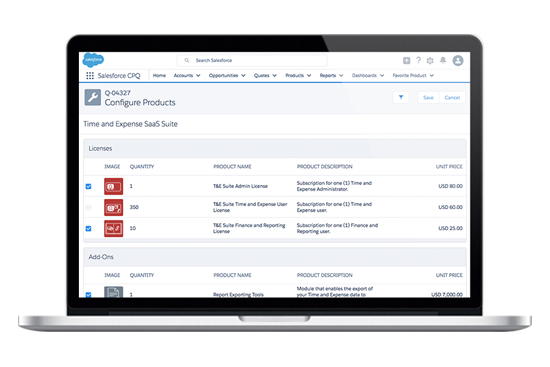 With Salesforce CPQ, you can configure products, price orders, and generate quotes, all with the click of a button. Salesforce CPQ is 5-10x faster to implement than other CPQ software and is easy to use, on any device, anywhere, anytime.